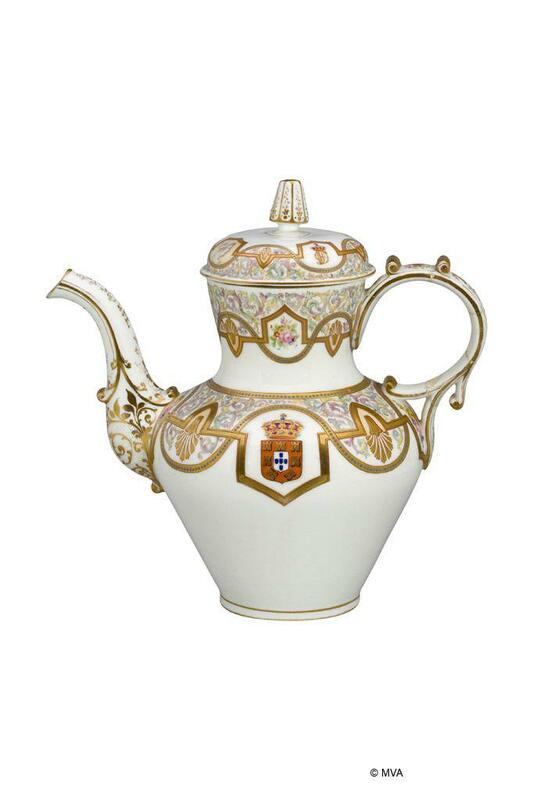 This coffee pot is part of a set ordered by the King Fernando of Saxe Coburg, husband of queen Maria II. 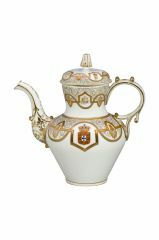 The lid bears the king’s monogram “F”, positioned underneath the crown. This set was painted by Gustave Fortier, master of panting in the Factory between 1852 and 1857 and again between 1861 and 1869. He introduces a lyrical and romantic style, manifest in the painting of flowers, in the introduction of delicate patterns and pale shades, tendencies which will define the factory’s decoration during his stay.